Well, here we are already with the first week of April coming to a close. Easter is drawing near, the sun is shining, things are looking greener and warmer weather is inching ever closer. I’m enjoying the beauty of the season and see signs of spring all around me..in the grassy plumes of the daylilies, the joyful sing-song calling of the birds and the fresh little leaves on the trees. I can hardly wait for everything to burst out in its full splendor. 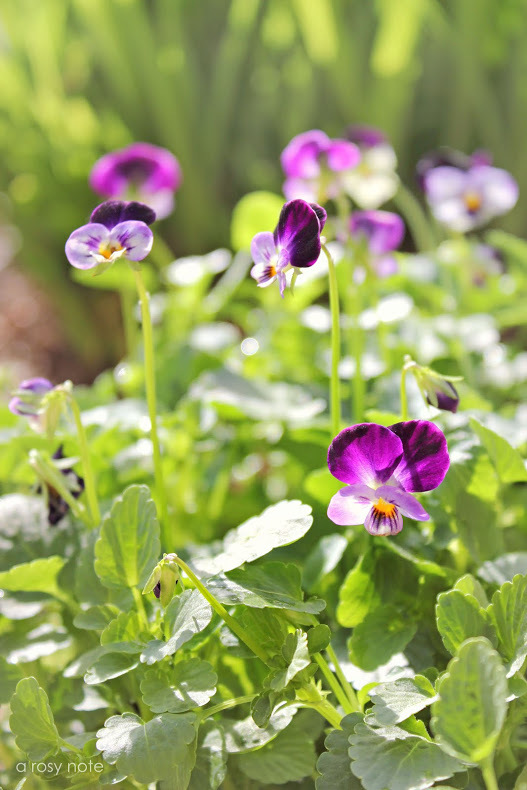 I’ve been feeling impatient for my flowers to start blooming so I picked up a few violas the other day to capture a little more of that springtime feel. My daughter was so excited to get her fingers in the dirt and start planting. Over and over, she said, “Please Mommy, is it time to start making our garden?” She got out her little shovel and watering can and was all set. Once she had her fill of playing in the dirt, she noticed these blueberries that I had purchased the same day and wanted to get right into those too! These big, blue, tasty berries were a key ingredient in some tarts I was making. And the left over berries? Well, she ate those faster than a wink! Our treat turned out quite delicious…and rather fattening too, since it had a cream cheese filling and an almond shortbread crust. Although sweets like that are a very occasional occurrence at our house, I’ve been thinking that I need to eliminate even more sugar from our diets. Food-focused articles or documentaries are something that always capture my attention. Have you been hearing all the discussion lately about sugar? I worried about it before, but even more so now. I’m determined to be an even healthier eater…just enjoying all the delicious fruits and veggies that will soon be found springing up fresh from gardens all around town. I can’t wait! Beautiful as always Tricia…Have a wonderful Easter. What a beautiful post! Would love for you to share on Simple & Sweet Fridays. I know everyone will love your photos! New Follower. Superlovely Post sweetie 🙂 i always Love your pictures! Wish you happy easter :)!!! Your posts are always so pretty and up lifting! Those little tarts are so sweet…I wish I had the patience to make pretty little desserts. I'm so in love with your photos, can't take my eyes off them, or stop pinning them!! Thanks for sharing your wonderful pictures Tricia! Wish you and your family Happy Easter!! stunning post again; i too am enjoying the first sign of spring. such a beautiful season. though i say that very season. your work is breathtakingly beautiful Tricia. i know i always say that too. I cannot wait for my Blueberries to start turning! You can make so many yummy creations with those little blue's! Hope you have a beautiful Easter Weekend! Dear Tricia your photos are so beautiful..
Beautiful, I love the little violas! Your daughters dress is also so pretty! 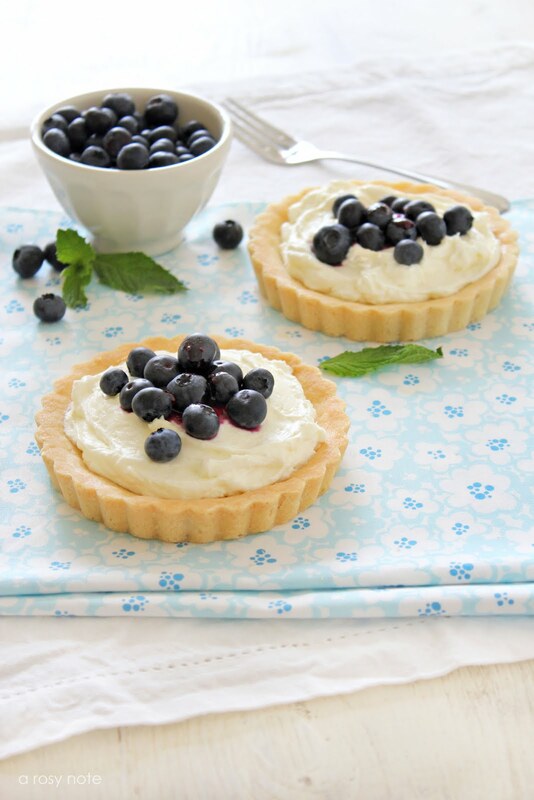 Your pictures are beautiful – your blueberry tarts look rather good too. Such beautiful photos! I really really admire your food styling – it's SO hard to do – I struggle all the time with it! And did I mention how jealous I am that your spring actually looks like spring! No greenery or flowers in these parts! Just brown and winter storm warnings….ack! Oh Tricia, another beautiufl post. your daughter's little hands filled with blueberries stole my heart. Have a blessed Easter. Oh no! please – I love seeing photos of the deliciously sweet things you create :)!! But then, any thing you do is pure eye candy *sigh*. 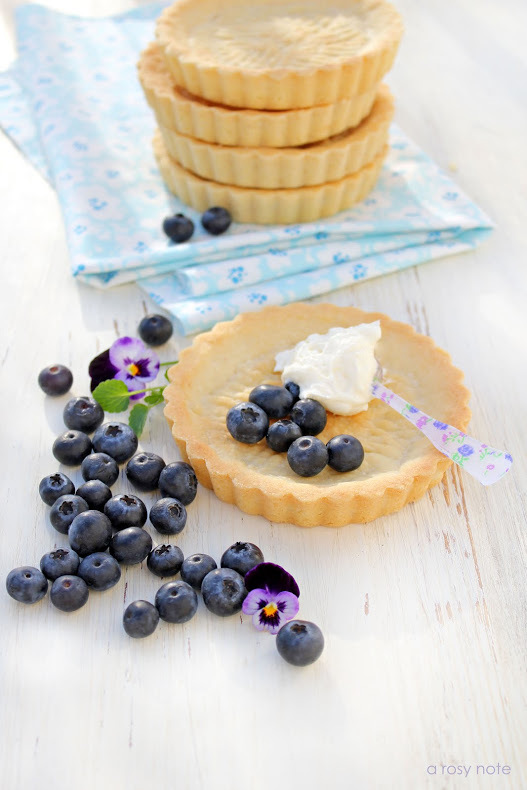 Tricia, these tarts look so yummy, and as always, your photographs are just beautiful! Sending you wishes for a wonderful Easter. Tricia, your pics are so beautiful! oh yum! my daughter loves blueberries too…i think they are her fave. love the pic with your daughter holding the berries! well…of course i love all your pics though!! may i ask where the flowered spoon (or is it a fork?) came from? it's so cute!!! If you change the sugar for dextrose you can still have your tart and eat it too! If I could jump right into your photos!! *sigh* you make everything look so lovely & beautiful & deeeeelish! I've slowly been eliminating sugar from my diet and I do admit that I feel better. We don't keep too many sugary things in the house anyway, so it's been an easy transition…but those tarts could persuade me to indulge a little…yum! Gorgeous, Tricia! Have a blessed Easter! Oh I so wish I had one of those to eat right now with my afternoon tea! Beautiful photos! Happy Easter. Where's your banner?? You need one my Friend!! Have a great Easter with your Family! Your little corner of the world is full of magic and beauty. Astonishing photos, your are very inspired :). Your blueberry tarts look too good to eat! They would make a beautiful centerpiece for an Easter brunch. happy Easter! Have an even prettier weekend. Such fine photos today! Delicious! My grown son LOVES blueberiies. My DH too! Best thing for you! It's such a pleasure to visit your beautiful blog. I hope you and your family have a wonderful Easter, Tricia! Happy Easter to you Tricia. I just wanted to reach right into the computer and scoop that dessert right into my mouth, Tricia! Yum! Have a blessed and joyful Easter tomorrow, sweetie! Another extra amazingly beautiful post. Have a wonderful Easter. Such a beautiful post, Tricia! I do understand your concerns about sugar. I love it but there's not much good that can be said about it. Happy Easter and enjoy at least a few chocolate eggs! i adore your divine photography!! Dearest sweet Tricia, tarts, berries and blooms!! All my favorites!! 🙂 Those berries and the tarts are just soo yummiee! Happy Easter lovely friend! Have a lovely merry happy fullfilled day! Love to you! I don't think I told you,but after I saw your post about the documentary: Fat, Sick and nearly Dead we're eating healthier ever since. I watched it and loved it! Your photos always make me smile. So pretty my friend.. I do wish you and your family a Happy Easter. Beautiful photos! I can't wait to start planting and smell the flowers all around. I try to avoid sugar but I am really bad at it. I know I need to eat better. Your photos are always delightful. I love them all..especially the hands holding the berries. Those tarts look delicious Girl! I can never tell you enough how much your photography makes me happy. Truly gorgeous. Oh Tricia…exquisite photos…just makes me smile! Thank you for your kind words! I was very happy about it! I hope you had a lovely Easter. It's wonderful to hear that you've got signs of spring in your part of the country. I know they must be welcome right about now. 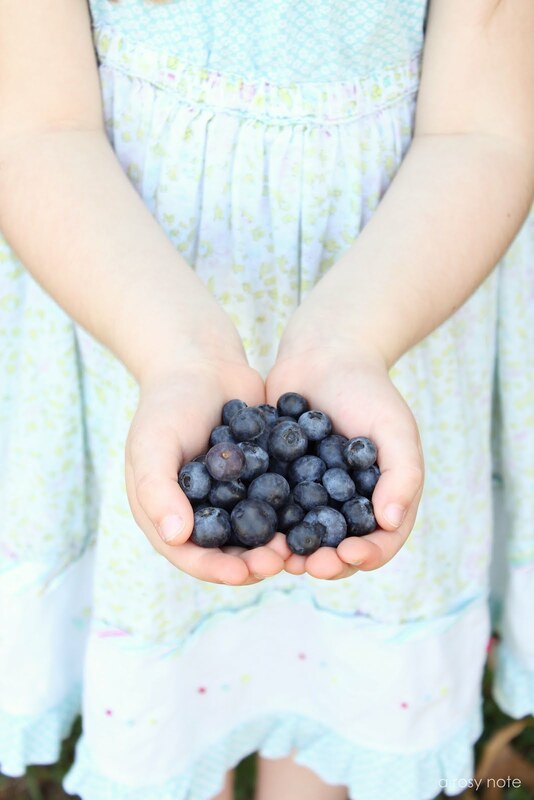 I have to tell you that your photo of your daughters hands holding the blueberries has me mesmerized. I love how you shot it. Divine! Your photos are always so beautiful. Hope you had a wonderful Easter weekend. Hope you are having a great Tuesday. 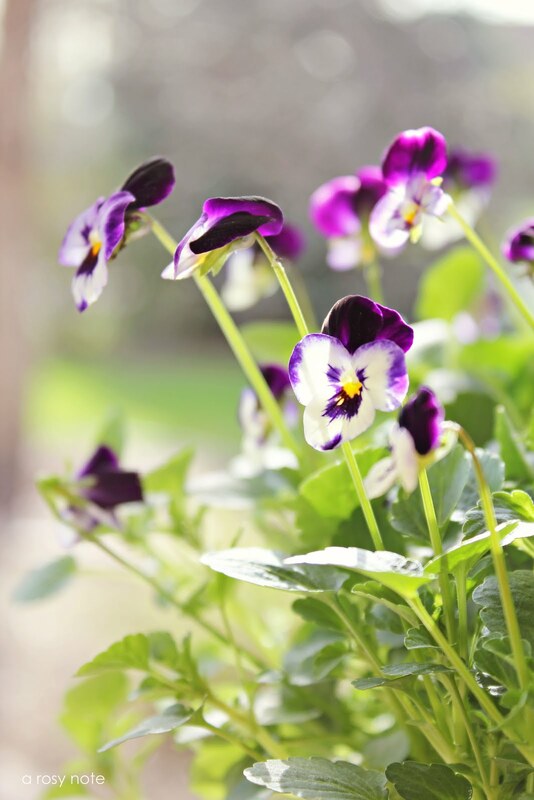 Such pretty pics – the viola one is so enchanting! Have you seen this Dr. Oz episode? It's about coconut sugar & how it doesn't spike blood sugar levels like white sugar does. I am the same way as you – anything health related catches my interest. I am sharing the link with you. I am going to buy some soon.. I bet WFM sells it.. but I only get out there once a month.. maybe TJ's has it? Take care! Beautiful photos as always! Yummmm…those tarts look so good! And blueberries are healthy, right? Your photos are stunning. And blueberries are so wonderful – they hardly need the work of a tart, delicious though that is! An occasional treat, as you say. That's so cute that your daughter is so excited to start making the garden! I went for quite a few years with eating very little sugar and no white flour and I really did feel better. Then they invented Coke Zero and I thought "What could one hurt? ", now I've gone down the rabbit hole of sugary tasting things again. I need to get back to a more healthful lifestyle. Those blueberries look so yummy! I was so happy to see that spriqng is coming and that the blueberries are starting to bloom! Your photos make me smile. I have just a few blueberries growing on my bushes. But my neighbor has a huge bush, my just have to reach over the fence this year and grab some! I love the sweet shot of your daughter holding the berries. So very pretty! And I had not read anything recently about sugar. More bad news? Mmmmhhhhh!!! The tarte looks so good! of it! Your are gorgeous. This looks so yummy! Your photos are beautiful as usual, but I LOVE the blueberries in that sweet child's hands! Tricia my dear friend!!! I have missed your posts!!! So glad to be back on blogger now that my computer issues have been fixed!!! 🙂 Your photos are stunning, and those blueberry tarts are to die for!!! You've got me in a baking mood for sure!!! Too bad though…I have gained WAY TOO much weight and am now on a strict regimen! lol Anyway, looking forward to catching up on your posts!!! Happy Spring to you!!! beautiful shots of your tart….your daughter's dress is precious! I made a fruit covered tart not too long ago and it was pretty good, but I know that delicate crust was something I shouldn't indulge in either. Oh well, what's a person to do? Yours sure are special! just beautiful. have a wonderful and beautiful week-end! oh my your desert looks yummy…but I think your daughters hands make a heart shape!…sweet pictures! Your pictures are amazing! Always so beautiful! These photos are just gorgeous! I've started a new photo blog so I'm now following you under both of my blog accounts. Your photography is such an inspiration to me. Trish, I hope you had a lovely Easter. Your blueberry tart looks delicious. I love the sight of your daughter's little hands and her sweet little dress. Have a wonderful week. Oh those blueberries look so good. We have a blueberry farm around the corner from us and usually get some every year.